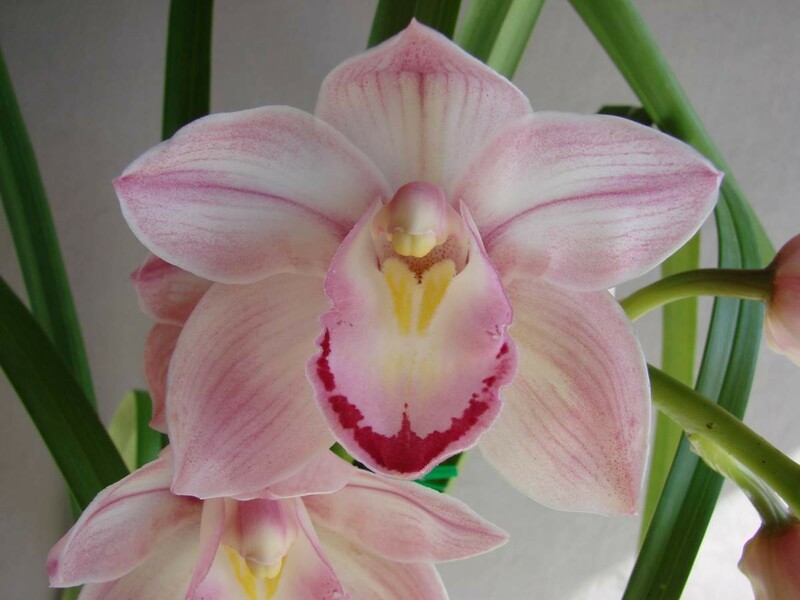 A standard flower that is white with a pink overlay with an unusual red edged labellum that is also blushed in pink. From the parents of Hazel Tyers and Golden Celebration. Late in the season blooming.